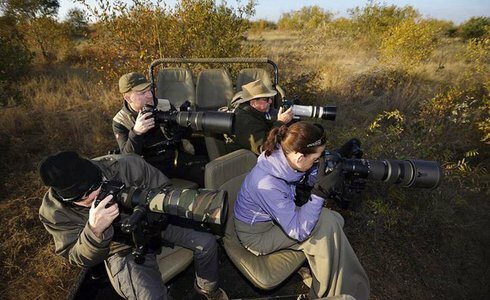 Capture nature's wildlife through the lens of a camera with a Simbavati Photographic Safari. With a specialized photographic game drive vehicle and a professional wildlife photographer, you're assured of an unforgettable safari experience. A Safari365 representative will meet you at Hoedspruit Airport for your road transfer to Simbavati River Lodge, for the start of your four day Simbavati Photographic Safari. This unique Simbavati Photographic Safari offers guests the opportunity to experience wildlife at its best. 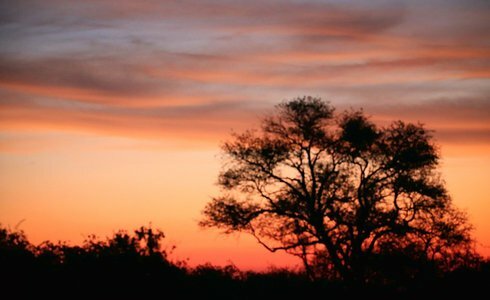 Set in the Timbavati Private Nature Reserve bordering the Northern region of the Kruger National Park, wildlife roams freely within more than 20 000 square kilometres of African bushveld. Spot the rare white lion, leopard, wild dog and many more from the comfort of our photographic vehicle while a professional wildlife photographer shares professional tips on capturing the ultimate wildlife shot. The specialized photographic vehicle seats 4 photographers with 3 seats available for partners. Catering for a small group, individualized attention is a guarantee, with pre-game drive and post-game drive briefing ensuring you capture once in a lifetime shots. On your Simbavati Photographic Safari experience you will have: Professional tuition by a professional wildlife photographer, post image editing, daily game viewing activities, use of the specialized photographic vehicle. Simbavati photographic safaris are run in partnership with Africa Photographic Travel and in association with Nikon. Equipment and camera accessories are available to rent and purchase at the lodge. Your base will be at the intimate Simbavati River Lodge - offering luxury accommodation in tented rooms or thatched chalets. Three meals are served daily. 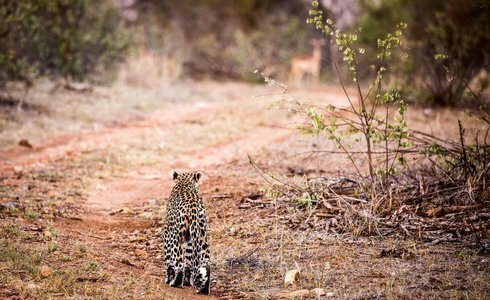 Following four days of outdoor safari bliss, you will be transported back to Hoedspruit Airport for the end of your Simbavati Photographic Safari.